New York is the most expensive place in the world to live and work, followed by Hong Kong and London with Dublin now the second costliest city in Europe, largely driven by the cost of renting a home. 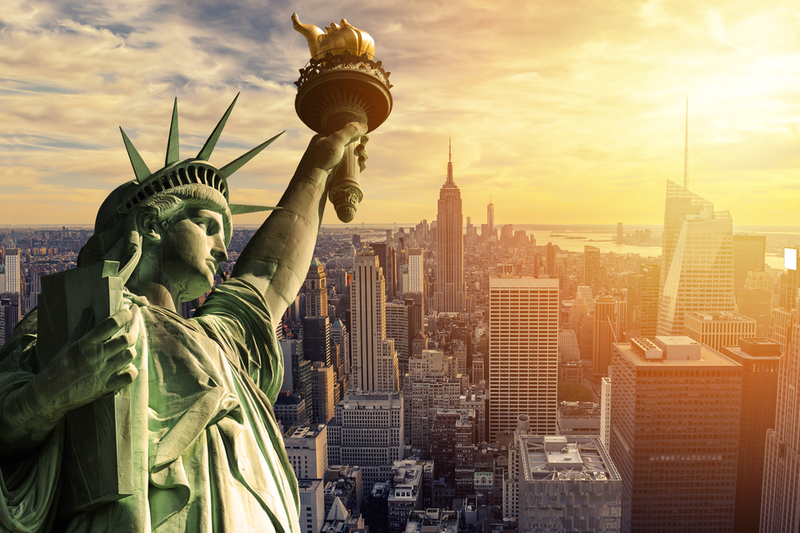 It is the second year in a row that New York has topped the rankings, compiled by international real estate advisor Savills, in terms of average cost of office space and residential accommodation per worker at $113,600 per year. In 2016, New York overtook London, which held the top spot between 2012 and 2015, but which has now slipped back into third place after Hong Kong. San Francisco, fifth in the current Index, has been one of the biggest climbers in the past decade, having risen from eleventh position in 2008, which the report says is due to the exponential growth of Silicon Valley. The average cost across the 34 cities surveyed in the 2017/2018 index is $47,500, according to Savills. The research also shows that Tokyo, in fourth position at $82,100, saw costs rise as residential occupier demand and low office vacancy rates spurred rental growth in the city’s office markets. It reveals that rental growth in US cities in general has slowed, reflecting their position at the top of the rental cycle following several years of strong growth. In Europe fast growing city economies are fuelling rent rises and a strengthening Euro has made these cities more expensive for occupiers outside the Euro-zone. Costs in Dublin, for example, rose by 19% to $61,100. In Amsterdam they were up 29.6% to $60,300. In both cities rapidly rising prime residential rents have driven up overall costs. At the other end of the table, Berlin appears to still offer value compared to other top European cities, ranked nineteenth in the league. Total costs are rising though, up 7.1% respectively in Euro terms. Take-up reached its highest levels since 2007 contributing to rising office rents. ‘Looking back over the past 10 years it’s clear that some cities such as San Francisco have seen fairly steady increases in both residential and office costs as they have grown in popularity,’ said Paul Tostevin, associate director in Savills world research team. He pointed out that others such as Moscow, which was fifth in 2013 but is now 16th, have fluctuated in line with exchange rates and global socio-political events. ‘Broadly speaking though European cities have been some of the biggest climbers, with the growth of Amsterdam and Dublin in particular demonstrating the increasing popularity of smaller locations which offer a good work/life balance with occupiers,’ he added. According to Jeremy Bates, head of Savills world occupier services, while rents are obviously important to occupiers, attracting the right talent has a much greater impact on business success. ‘With new generations of footloose workers being attracted to roles based on location, rather than company name, occupiers need to ensure they choose the right neighbourhood and working environment when relocating,’ he explained. ‘While costs are rising in some European cities, many still offer good value, particularly when considered alongside the lifestyle they provide. The major global cities, meanwhile, don’t come cheap but in some markets office property costs are slowing given their position in the rental cycle,’ he concluded.